Steven Schneider, professor of creative writing at the University of Texas Rio Grande Valley, said a poetry-art exhibit he created with his wife, the artist Reefka Schneider, in 2010 is more relevant today than ever. 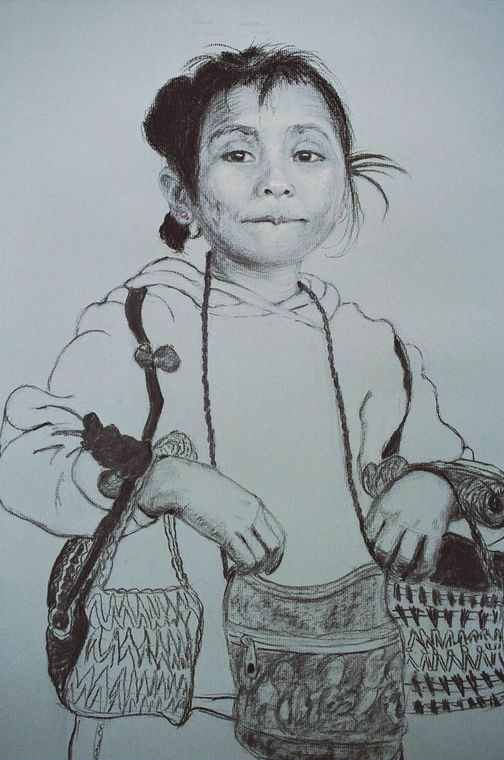 The exhibit, “Borderlines: Drawing Border Lives,” is on display at Historic Brownsville Museum, 641 E. Madison St., through Nov. 4. On Saturday, the Schneiders will give a presentation on the exhibit titled “Colliding Forces Along the Border.” The event takes place at 3 p.m. at the museum, and will feature poetry readings and a discussion of the project. It is free and open to the public. The poems and portraits stem from the couple’s travels in the border region between 2001 and 2008, Schneider said. Schneider chose 25 of the pieces for a book, published in 2010 and including his poems. The book serves as the basis for the Borderlines exhibit and is available for purchase at the museum.